Sunny and warm, with some fish biting reported. Hot spots are typically the steep bank located next to the park entrance, and the fishing dock. The most recently successful lures are garlic scented, and colored bright green. Chicken liver and Power-Bait have also been successful in recent catches reported. 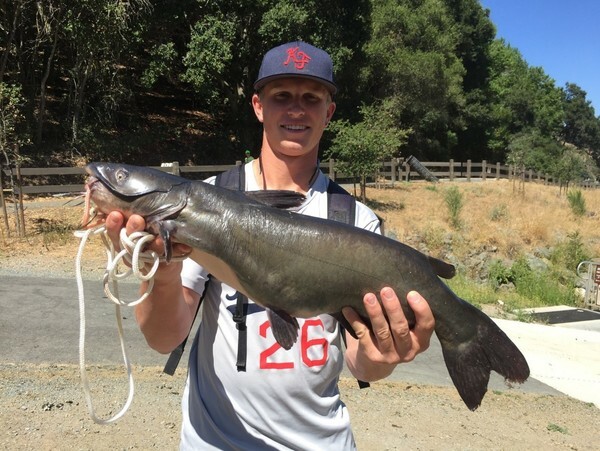 Several hundred pounds of catfish were stocked in the lake last week and they are biting. A 14” catfish was caught off of the east bank last Tuesday morning using chicken liver as bait. Hot spots are typically the steep bank located next to the park entrance and or dock. Successful lures are bright green with a garlic dip for scent. Power-Bait has also been successful.